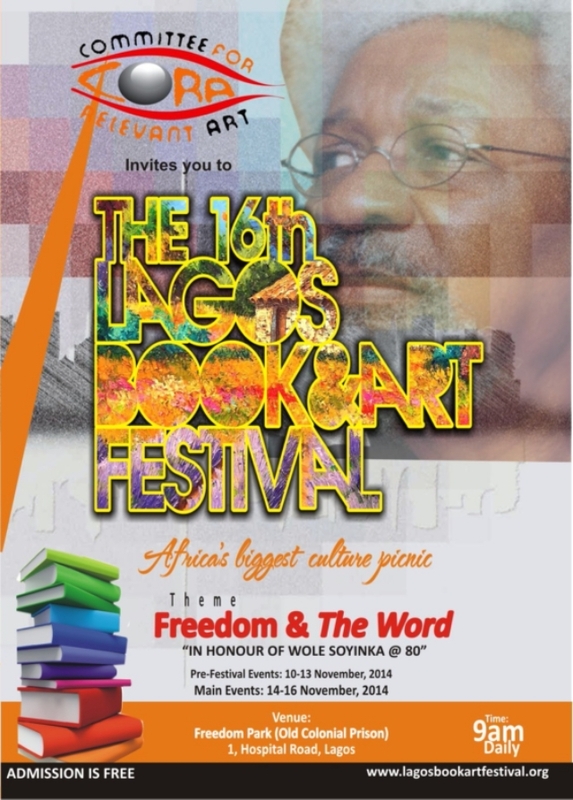 The 16th Lagos Arts and Book Festival will be rocking Lagos from the 10th of November in the commercial capital of Nigeria. This years events will honour Prof. Wole Soyinka @ 80; for the uninformed Prof. Wole Soyinka @ 80 is a celebration of Africa’s first Literature Nobel laureate as he turns eighty this year. There shall be keynote addresses made by Prof Biodun Jeyifo a Harvard don and foremost critic of Soyinka’s work as well as Prof Chidi A. Odinkalu the chairman of the Nigeria Human Rights Commission. Another exciting event with the Cassava Republic event which will include a panel of authors discussing of a new digital romance imprint – Ankara Romance. Finally, Rotimi Babatunde – Caine’s Prize winner 2012 – and a panel of four discuss contemporary Nigerian writing. Also on the bill will be Chuma Nwokolo – who Kenyans will remember for his staring role at the Storymoja Festival -, Adewole Ajao, Toni Kan, Kola Tubosun and co as they discuss books on the theme ‘In Search for Freedom’. For more information about the festival please visit the official page of the festival.